This is a review of the English tenses. 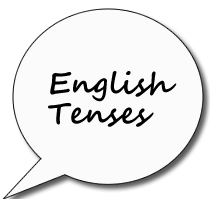 The table is provided to help recall the form and use of the different English tenses studied in previous lessons. He has not been thinking. He had not been waiting. I will open the door. I will not open the door. We use the simple future for instant decisions. He is going to clean the car. He is not going to clean the car. Is he going to clean the car? to express the future when we intend to do something or have decided to do something but did not arrange it. It is just an intention. He is traveling to Egypt next week. He is not traveling to Egypt next week. Is he traveling to Egypt next week? when we say what we have planned and arranged to do at a specific time in the future. These are fixed plans with definite time and/or place. She will be listening to music. She will not be listening to music. Will she be listening to music? He will not have spoken. You will have been studying. You will not have been studying. Will you have been studying? He would not be writing. He would not have written. She would have been sleeping. She would not have sleeping speaking. Would she have been sleeping?